Everyone needs to take take time off every now and then. But, without visibility of future workloads, it's very difficult for managers to approve personal time off (PTO) requests. With Resource Guru's all-in-one schedule, you can plan staff vacations and other types of absence with total confidence. Gone are the days where you need to track vacation and sick leave in a separate calendar to the work schedule. 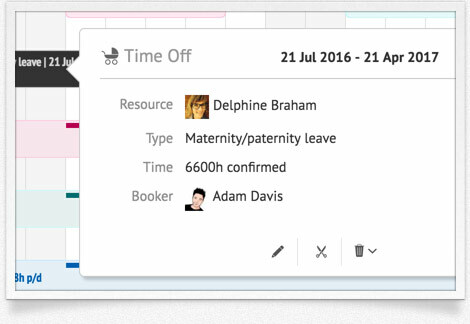 Unlike other absence management software, Resource Guru gives you total visibility of your team's workload in one place, enabling you to book time off with total confidence. We've all been there, you're trying to hit a deadline and suddenly, at the last minute, you're blindsided by unexpected public holidays. 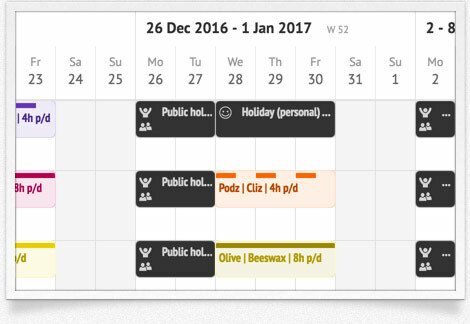 With the visibility of Resource Guru's staff holiday planner, you can see forthcoming public holidays along with all other employee time off. Easily record when employees are sick or need to take time off for some other reason, eg maternity leave. 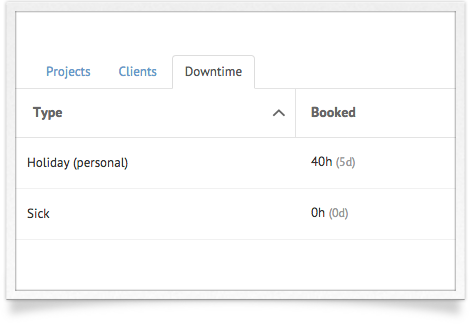 With Resource Guru, you can manage and report on any kind of time off. 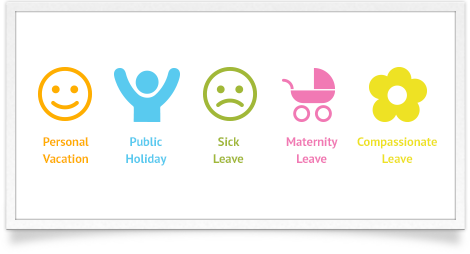 Whether it's vacations, sick time, maternity leave or some other kind of absence, Resource Guru's powerful reports will enable you to see an exact breakdown of all time off by employee. It's time to wave goodbye to that old Excel leave planner. Ready to experience scheduling nirvana? Sign Up for your 30-day free trial now. Let Resource Guru handle your resource scheduling, so you can get on with your business. © Resource Guru 2019. All rights reserved.